The self-acclaimed “King of Rapper”, Yung6ix seems to be really mad with somebody somewhere. 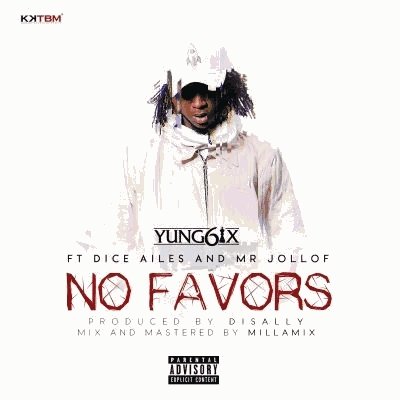 He released “No Favor” while featuring “Dice Ailes” and “Mr Jollof” to express himself clearly to his fans and his major target. No Favor is compressed with some messages seems hidden but downloading this music will foil the hidden tempo which is mixed with equivalent club jammer.